Uluru is a massive sandstone rock in central Australia that is sacred to the Aborigines of the area, who are known as the Anangu. In recent years, Uluru has also become important for New Age practitioners. Believed to have been formed by the activities of ancestral beings in creation time (or Dreamtime), the beautiful site includes many caves, waterholes, and ancient rock paintings. Uluru is the traditional name for the rock, Ayers Rock is the name given by European explorers, and Uluru/Ayers Rock is the official name. Australia's native people believe themselves to be direct descendents of these ancestral beings, and continue to carry on the rituals and responsibilities associated with their ancestral land. The aboriginals of western and central Australia call themselves Anangu, a word that originally meant simply "human being" but has come to refer to aboriginals (especially in western and central Australia) as opposed to Australia's European descendents. The Uluru-area Anangu include two different language groups, the Yankunytjatjara and Pitjantjatjara. The beginning of human settlement in the Uluru region has not been determined, but archaeological findings to the east and west indicate a date more than 10,000 years ago. In October 1872, the explorer Ernest Giles was the first non-native person to see the rock formation. He saw it only from a distance, prevented by a lake from approaching closer. On July 19, 1873, the surveyor William Gosse visited the rock and named it Ayers Rock in honor of the Chief Secretary of South Australia, Sir Henry Ayers. The Aboriginal name was first recorded by the Wills expedition in 1903. Since 1903, both names for the site have been used, although Ayers Rock was the most common name used by outsiders until recently. In December 1993, the site was officially renamed “Ayers Rock/Uluru.” The order of the names was officially reversed to “Uluru/Ayers Rock” in November 2002, following a request from the Regional Tourism Association in Alice Springs. On October 26, 1985, the Australian government returned ownership of Uluru to the local Pitjantjatjara Aborigines, with one of the conditions being that the Anangu would lease it back to the National Parks and Wildlife for 99 years and that it would be jointly managed. The rock and the surrounding park were designated a World Heritage Site in 1987. The Aboriginal inhabitants of Australia, the Anangu, believe the Central Australian landscape was created at the beginning of time by ancestral beings. According to Aboriginal myth, the world was unformed and featureless until ancestral beings emerged from the void and journeyed across the land, creating all living species and the features of the desert landscape. Uluru is regarded as spectacular physical evidence of the ancestors' activities during the creation period. The record of Dreamtime can be found in the rock itself, its fissures, cliffs and caves. The main path up to the summit of the rock is the traditional route taken by aboriginal ancestors upon their arrival at Uluru in the creation time. Various outcrops represent different ancestral spirits, and by touching the rock, an Aborigine can invoke the spirits for blessings and communicate with Dreamtime. According to one Aboriginal myth, two tribes of ancestral spirits were invited to a feast in the area, but became distracted by beautiful Sleepy Lizard Women and dallied at a waterhole. Angry at being stood up, the waiting hosts sang evil into a mud sculpture that came to life as the dingo, a wild dog that has been known to carry off babies. There was a terrible slaughter followed by a great battle, which ended in the deaths of the leaders of both tribes. The earth itself rose up in grief at the bloodshed—and this is Uluru. Uluru remains sacred to several Aboriginal tribes in the area, who still use it for rituals and leave paintings in its caves. The meanings of the rock's features are passed on to youth in songs at initiation ceremonies conducted in the caves along the base of Uluru. The rock is also sacred to New Age practitioners, some of whom have adopted Dreamtime into their beliefs. Uluru is an isolated sandstone rock (not technically a monolith) that stands 346 meters high and more than 8 km (5 miles) around. Roughly triangular in shape, it stretches for over 2 miles in length and nearly 2 miles in width. It has a harder exterior than most other rock formations, which allows for the unusually steep rock faces all the way to ground level. Uluru is a completely bare rock without the least bit of vegetation, which only adds to its stark and mysterious beauty. By great contrast, however, the base of the rock is nourished by rain runoff from Uluru and is a fertile oasis of water pools, rich greenery and a variety of wildlife. It is thus an ideal ceremonial site for the Aborigines, who camp in the caves and are sustained by the water and available food. Aside from its imposing size the most impressive feature of Uluru, beloved by Aborigines and visitors alike, is its beautiful range of changing colors throughout the day and year. Sunrise and sunset are particularly remarkable, with the rock glowing a deep rusty red. The rock derives its rust colour from oxidation, and the glowing effect at sunrise and sunset is due to the arkosic sandstone of the rock, which contains reflective minerals and changes color according to the attitude of the sun. Ayers Rock contains a variety of interesting cracks, canyons, caves and natural formations, all of which the Anangu attribute to the activities of ancestral beings at the creation time. The shallow caves at the base of the rock contain ancient carvings and paintings. But unlike the Lascaux Caves and other cave art sites, the Uluru rock drawings are just not artifacts of some distant culture — they are still being created by the Anangu. At Uluru, the old cave drawings are simply painted over with new ones, and the paint is made largely of water and is therefore quite delicate. For these reasons, the rock art in these caves is impossible to date with any certainty. The rock art includes figures like boomerangs, human beings, waterholes and abstract symbols. The base walk around the perimeter of Uluru is 9.4 km long. There is also a Mala Walk (2 km) and Mutitjulu walk (1 km). Guided walking tours are available from park rangers and by the Anangu themselves. These are popular activities and are encouraged by the Anangu. However, the most popular thing to do at Uluru is to climb it (see Making the Climb, below). About 25 km from Uluru is another sacred rock formation known as Kata Tjuta (“many heads”) or the Olgas (named for Queen Olga of Württemberg in 1872). Special viewing areas with road access and parking have been constructed to give tourists the best views of both sites at dawn and dusk. The Uluru-Kata Tjuta National Park also includes a Cultural Center, where you can learn more about Aboriginal culture and the sacredness of Uluru. The Aboriginal community of Mutitjulu (pop. approx. 300) is near the western end of Uluru. From Uluru it is 17 km by road to the tourist town of Yulara (pop. 3,000), which is situated just outside of the National Park. Ayers Rock Resort just outside the park has accommodation for a wide range of budgets. The buildings of the tourist resort are colored to blend in with the surrounding desert. However, since Uluru is currently leased to Australia as a national park (see History, above), visitors are free to climb the rock and there is a marked path with chain handhold provided to make it a little safer. Many tourists climb the rock each year, but as the sign above points out, the climb is no easy task and some have even died in the attempt. The steep climb to the top of Ayers Rock takes over an hour in hot desert conditions. A reasonable level of fitness, proper clothing, and plenty of water are necessary. There are emergency radio alarms at various points around the base of Uluru in case of injury or health problems. See full safety advice. The most common journey to Ayers Rock begins at Alice Springs, from which it is 280 miles (450 km) southwest by road to the site. You can drive yourself, take a bus or join a tour from Alice Springs. See map below. Flights depart daily from most capital cities to Connellan Airport, which is located just outside the Park. Contact a travel agent for further details. Car hire is available from the airport and is best arranged through a travel agent before arrival. Our tour partner Viator offers a variety of tours, walks, transportation options, night shows and workshops that you can book ahead in your own currency. View the tours here. Open during daylight hours, including sunrise and sunset. 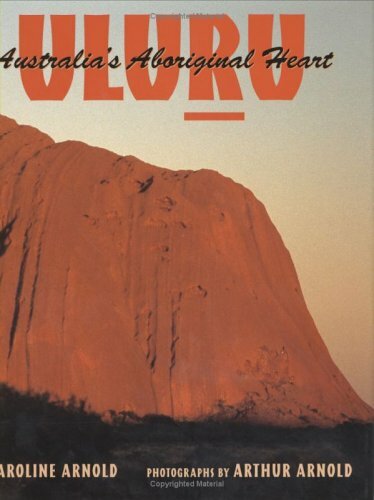 Norbert C. Brockman, "Uluru and Kata Tjuta, Australia," Encyclopedia of Sacred Places (Oxford University Press, 1998), 292-93. "Ayers Rock." Encyclopædia Britannica (Encyclopædia Britannica Online, 2006). James Cowan, Aborigine Dreaming: An Introduction to the Wisdom and Magic of the Aboriginal Traditions (Thorsons, 2002). Robert Layton, Uluru: An Aboriginal History of Ayers Rock (Canberra: Australian Institute of Aboriginal Studies, 1986). Charles Mountford, Ayers Rock: Its People, Their Belief, and Their Art (Honolulu: East-West Center, 1965). Below is a location map and aerial view of Uluru. Using the buttons on the left (or the wheel on your mouse), you can zoom in for a closer look, or zoom out to get your bearings. To move around, click and drag the map with your mouse.